Mount Road Police have the best crack. 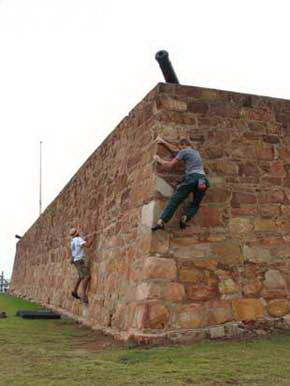 Morne & Dricus Bouldering at Fort Frederick ~ 2003. Photo thanks Morne van der Mescht collection. 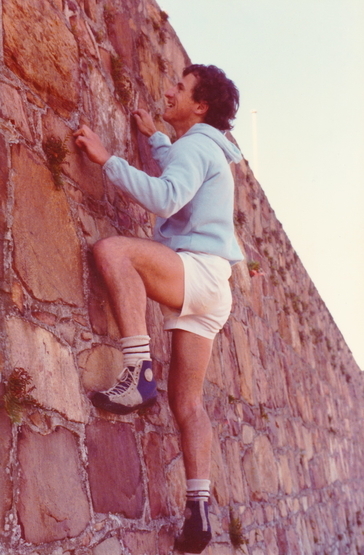 Fort Fredrick was at a stage one of the main training areas for climbers in Port Elizabeth. It might not be absolutely legal, but neither is all the other crime in Central. Quietly carry on.